You may have heard or read about Mozillas 3-branched Firefox release model. This is especially useful for (add-on) developers, making sure the next version and features work with your own software. However, for your development work you often donâ€™t want to use your normal profile with tons of addons, settings and history enabled and customized. Firefox has always shipped with a profile manager/selection (command line startup parameter -p) but recently seems to move away from the integrated one. 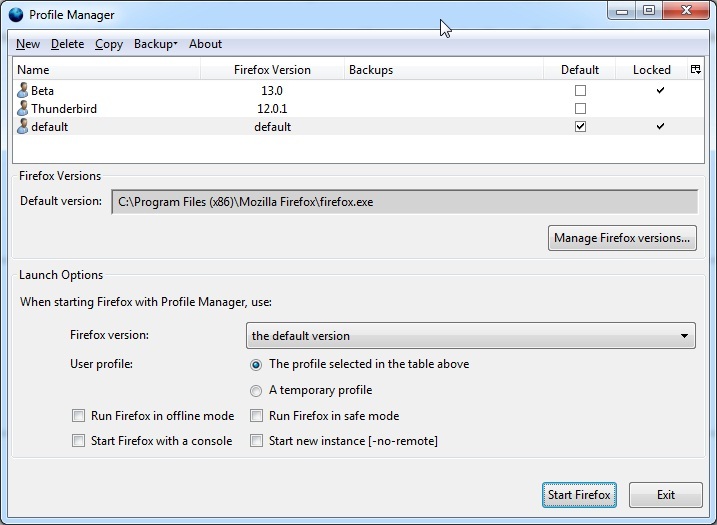 Instead a separate tool is introduced, the Profile Manager.